The Curiosity rover on Mars has discovered and photographed pyramid structures and “statues” hidden among the rocks of the red planet, but NASA has tried to “hide” and even in some circumstances to destroy this evidence, all according to theorists of conspiracy. 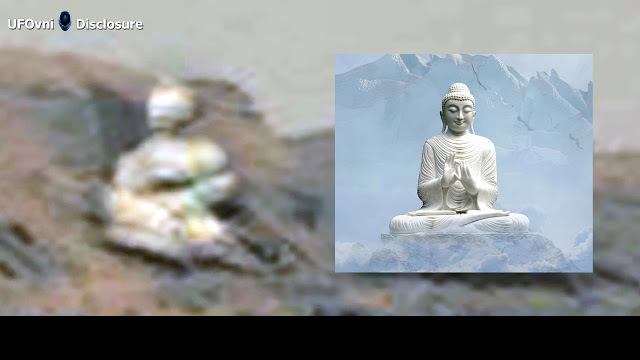 Proponents of the theory of ancient astronauts – who believe that extraterrestrials visited Earth in prehistoric times – claimed to have seen images taken by the Curiosity rover in which were visible a series of statues, including a Buddha statue and a cross . 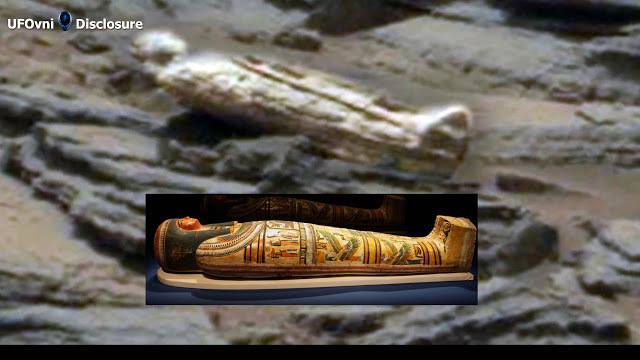 Satellite imaging expert Joseph White explains that Rover’s images have been altered to prevent the public from discovering these statues and other artifacts. David also points out a “structure” on Mars that looks like a Sphinx, in addition to an object that looks suspiciously like a sarcophagus. Many of these unexplained objects have been spotted in an area known as The City, including a group of pyramids similar to those found in Egypt. Previous Previous post: Secret files of the UFO observations revealed! Next Next post: Christmas Comet Flies to Earth! When it was here for the last time, Jesus was born.